The ACYD is a youth-driven bilateral week-long conference. It is held annually, alternating between Australia and China. The ACYD aims to promote sophisticated cross-cultural understanding between emerging leaders from Australia and China between 18 and 35 years of age. 15 Australian and 15 Chinese delegates are brought together with established experts and leaders from government, business, university and NGOs. The dialogue challenges delegates by exposing them to ideas and issues from a wide range of fields and disciplines; no delegate has a background in every area covered during the dialogue. Despite the rigorous curriculum, ACYD is a youth driven event; fun is never too far away! 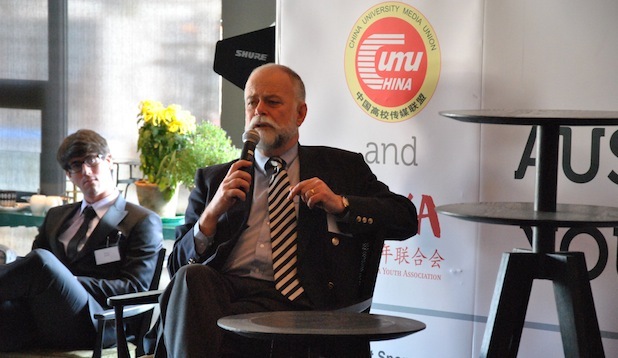 Modelled on the Australian American Leadership Dialogue, the ACYD was conceived in response to an article written by Professor Stephen FitzGerald, Australia’s first Ambassador to China. The article drew attention to the need for more institutionalised dialogue between Australia and China, through both government and non-government organisations. There is no other youth bilateral platform for regular, extensive discussion of issues of importance between Australia and China. The inaugural ACYD was held in Beijing and Shanghai in 2010. The second ACYD was held in Canberra and Sydney in 2011. Speakers at the 2011 ACYD included Bob Hawke, Craig Emerson, Michael Kirby, Dennis Richardson, Martin Parkinson, Peter Drysdale, Clinton Dines and Nicola Wakefield Evans. The delegates of the 2011 ACYD made a well-received submission to the Australian in the Asian Century White Paper, establishing a new feature for future Dialogues: a delegate produced report on issues of bilateral importance to Australia and China. At 40 there are no doubts: next steps in Australia-China relations. The theme alludes to a passage from Confucius' Analects looks to the incredible opportunities presented by Australian and Chinese cooperation. To attend the ACYD you must be between the ages of 18 and 35 on 24 October, 2012. Applications open in July.